Any professional can benefit from the services of a coach. After all, a coach’s job is to observe, assist, and generally help the person being coached to elevate their performance – sometimes in general, and other times in highly specific ways. On the other hand, highly trained professionals and executives have countless demands on their time. Why should they take the time required to work with an executive coach? Shouldn’t they already know what to do? Coaching has similarities across different contexts. The fact is, the CEO who works with a CEO coach does so with the expectation of measurable ROI. The time spent with an experienced, exceptional CEO coach gets real, observable, measurable results. Some of those results are evident right away, while others take time to unfold, but ultimately, the CEO who is effectively coached can expect to perform better and sustain results over the long term. In other words, it’s an investment that makes smart business sense. 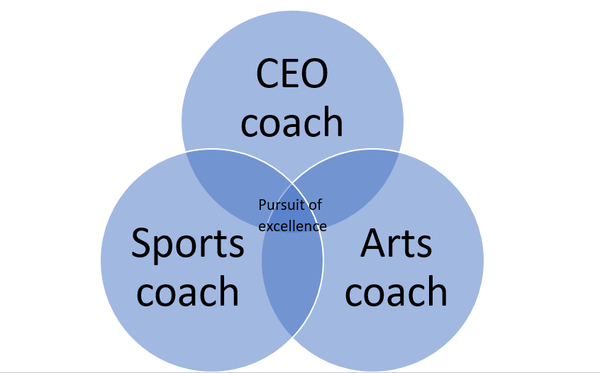 For the same reason the opera singer at the peak of their career works with a voice coach, and the Olympic-caliber athlete works with a training coach, the executive or CEO works with a coach. That reason is to become the best and most effective CEO they can be, and isn’t that what the company wants when they name a new CEO? The goal of any great coach is sustained excellence. The CEO coach is similar to the executive or leadership coach, but with the added responsibility of working with the person who is at the helm of the company – the person who can potentially make the most significant difference in the company’s success and the lives and careers of those who work for the company. The concept of “needing” an executive coach has not always been entirely positive. Coaches in various forms, of course, have been around for more than a century, but in the early days of executive and CEO coaching, it was almost seen as a remedial process – something a company would resort to when they invested in a CEO who was either wrong for the job or clearly out of their depth. A leader who warranted the services of a coach probably didn’t advertise that fact. 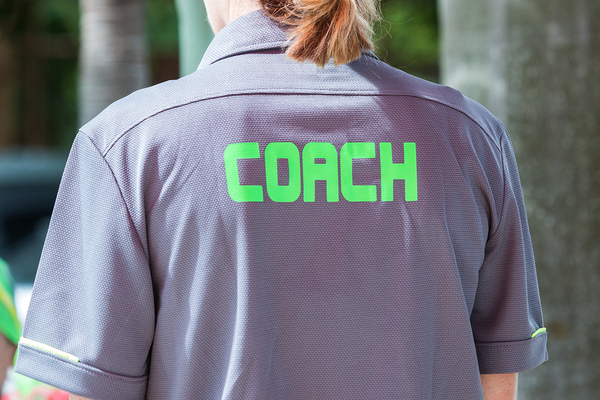 Nowadays, if anything, having a coach is seen as a badge of honor, or a sign that someone has truly arrived and intends to keep moving in an upward trajectory. Eric Schmidt, Steve Bennett, Oprah Winfrey, Steve Jobs, and Barack Obama are all examples of professionals at the top of their game who saw the wisdom in working with a coach. As a result, more companies and individuals are working with coaches, and they’re not secretive about it. If Usain Bolt, the fastest man in the world, works with a sprinting coach, then why wouldn’t others who are considered the top of their profession work with specialized coaches as well? CEO coaching has matured, become more objective and measurable, and has entered the mainstream of today’s business world. No longer seen as a desperate act to “save” a faltering CEO, today’s CEO coach is often employed early in a new CEO’s tenure, so that the company will thrive under their leadership starting as soon as possible. The coach is there to ensure the CEO is as effective as possible, as quickly as possible. Not all changes to the leadership coaching world have been positive, however. With the rise in popularity of coaches has been a concomitant rise in the number of people who declare themselves to be coaches, hang out a shingle, and then fail to deliver the expected results. Part of that is due to the fact that there is really nothing stopping the person who wants to call themselves a coach and try to get clients. However, the people who are interested in hiring coaches are gaining more resources they can use to separate the truly qualified and talented coaches from hacks. Organizations like the International Coach Federation (ICF) not only offer certifications for coaches themselves, but they also offer accreditation for coach training programs, offering clients reassurance that the coaches they hire have been properly and sufficiently trained. Does certification guarantee that a coach will be effective? No, but it does make it more likely that a coach is who they say they are, and has received what is considered to be high-quality, established training. Principal and CEO George Trow of Doncaster College in the UK used coaching not only for himself, but for 70 of his managers upon being appointed to the post. His goal was to install a coaching culture, and the results were impressive. Not only did the student success rate increase dramatically, the school’s finances recovered from being “poorly functioning” to being stellar. Some of industry’s leading CEOs extol the benefits of working with a coach. I have had the privilege myself of coaching Steve Jobs (Apple), the former Chairman and CEO of PepsiCo, Roger Enrico, the CEO of Nielsen Mexico, Armando Uriegas, the former CEO of FedEx, Bill Logue, the Prime Minister of the UAE and his top team, the CEO of Oman LNG, Harib Al Kitani, and many other top CEO’s and government officials, all of whom fully embraced the experience of working in partnership with me. While we have made positive strides in the world of CEO coaching, however, truth be told the vast majority of CEO’s and government leaders who could in fact benefit from coaching, haven’t yet seized the opportunity to work with a coach. The good news though is that is changing and will continue to change as we will see more and more CEO’s working with coaches in the future. 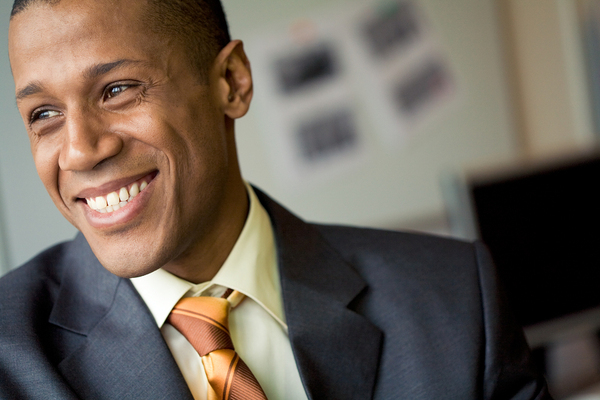 The main reason why CEO coaches have become more prevalent is that they get positive results. The CEO sets the tone for the whole workplace culture, whether for good or ill. Coaches understand this, and they strive to help CEOs develop their self-awareness so they can see the many ways in which they affect what it’s like to work at their company. While many of the benefits of effective CEO coaching are subjective (like making it a “better place to work”), many of the benefits of coaching can in fact be quantified. One American Management Association study concluded that the organizations that used coaching had stronger market performance. A survey of coaching clients by PriceWaterhouseCoopers found that the average ROI for companies that invested in coaching was seven times their initial investment. More than one-quarter of survey participants reported ROIs of 10 to 49 times the initial investment! The reason for such an impressive ROI has to do with CEOs learning to “walk the talk,” inspiring people to listen, and spreading their enthusiasm far and wide. Trust and team effectiveness also increase throughout organizations that engage coaching. So, if I am a CEO, or I have appointed the next CEO and hire a CEO coach, what exactly happens? First, it’s important to note that while CEO coaches must be flexible and adaptable, one thing they don’t do is “wing it.” The most effective CEO coaches are ones who have developed clear processes and methodology that inform their direction, yet who personalize their services to the client. Often, the coaching relationship begins with direct observation. A coach may shadow a client in action and make notes. Many coaches also use in-depth assessment tools to help identify a client’s most pressing needs, as well as their strengths and skills gaps. And great coaches talk and listen – to the client, to the client’s superiors, and to their colleagues and direct-reports. They want to start with a comprehensive, 360-degree view of their client so they can tailor services accordingly. 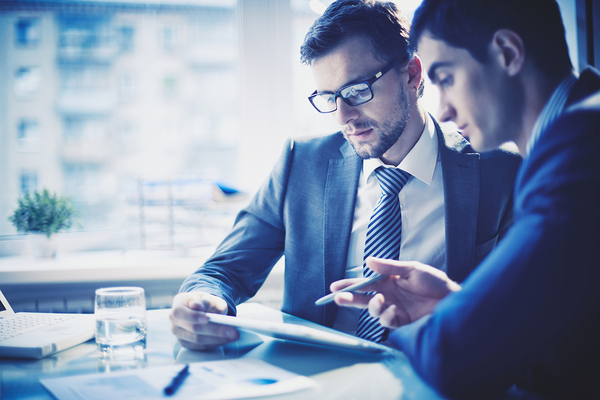 Gathering comprehensive information on the client is one of the first tasks of the CEO coach. Once the initial assessment is made and is discussed with the client, both coach and client identify goals, as well as stepwise objectives for reaching those goals. They lay out a timetable and develop a personalized set of metrics to evaluate periodically to assess progress toward goals. Coaches may assign “homework” for the client, and may spend one-on-one, in-person time with the client at the beginning of the coaching contract. With goals and a workable plan established, coaches typically determine a schedule for meeting up with clients regularly, whether by phone, teleconference, in person, or some other way. During the time in between meetings, the client is expected to work on achieving specified goals and objectives, and future meetings may be spent reviewing those accomplishments. When the coaching contract comes to an end, the coach and client look back and evaluate progress, and may develop a plan for maintaining momentum once the coach has left. Some coaching clients include periodic follow-up after the intensive part of coaching is over. Progress must be measured both objectively and subjectively. Progress should be measured in ways that are meaningful to the client. Often, progress can be marked in different ways for different types of progress. Progress may in some cases be “measured” simply by talking it over with the coach. Suppose a CEO has difficulty delegating without tending toward micromanagement. One goal may be to delegate a specific task completely (say, production of a weekly report) and trusting the team entirely to take care of it rather than butting in and constantly checking that everyone’s doing what they’re supposed to do. If the CEO accomplishes this, and the report gets written to everyone’s satisfaction, the CEO and coach may discuss this. How much time was freed up by delegating effectively? Were there any feelings of diminishing authority? What benefits were experienced as a result of delegating effectively? This type of progress may be noted by client, coach, or both to be reviewed later. Another way coaches and clients may measure progress is by repeating assessment tools at the end of the coaching contract. How has the client changed over the course of the relationship? Where is there still progress to be made? Both objective and subjective measures of progress are important for maximum success of the coaching relationship. Better self-awareness and self-regulation are two of the most important benefits of CEO coaching, affecting the CEO individually and the overall organization. The CEO who is aware of their tendencies, proclivities, strengths, and weaknesses is a CEO who is prepared to tailor their actions and their thought processes accordingly. And self-awareness and self-regulation are critical components of emotional intelligence. Outstanding coaches help clients with critical “soft” skills like self-awareness. Emotional intelligence is largely what facilitates effective communication between people. Yet, it may be lacking in people at the top of the leadership chart. Emotionally intelligent people are more transparent, honest, and easy to talk to, and this simple fact can lift a significant amount of stress from interactions between CEOs and the people who work for and with them. Coaching not only helps CEOs develop better habits, address skills gaps, and build better emotional intelligence, it can also help them understand how others view them, and how their words and actions affect other people. To an extent, direct-reports and others are expected to work around some of the peculiarities of the gifted CEO, but that doesn’t mean a CEO can act as they please at all times and not expect it to affect others (and ultimately the company). 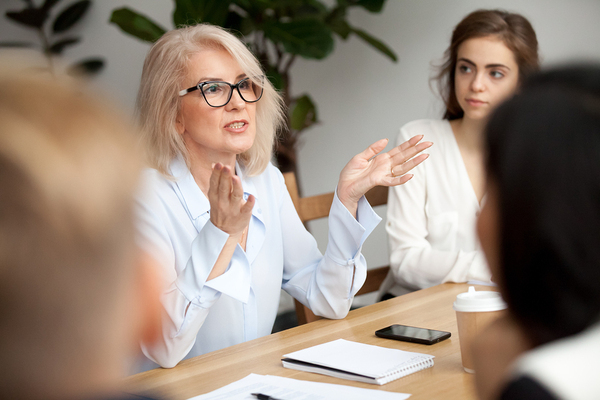 CEO coaches can be tremendously effective in helping CEOs learn how others regard them and how their actions and words affect the people they interact with. Selecting a CEO coach requires much more than going down a list and seeing who is available. There needs to be a good fit between coach and client, and this is hard to gauge from a web page. In addition to checking a potential coach’s credentials, it’s important to learn something of their track record, and to communicate directly with them to see if the relationship appears fruitful. For a CEO in particular, it’s important to select a coach who has significant work and life experience. CEO coaches who have been CEOs themselves may be a good choice. Regardless of whether the coach has been a CEO, they should have the experience to know what it’s like to have to hire and fire people, and generally make sure a business remains operational and profitable. Any CEO coach should be prepared to describe their methodology, their assessment tools, and how they plan to measure success. Likewise, they should be strong enough to hold the CEO accountable for doing the work involved in a productive coach-client relationship. They should be prepared to determine where skills gaps lie, where there is most room for improvement, and specific techniques for overcoming deficiencies and measuring progress. Different CEO coaches have different methods for assessing baseline measurements and skills gaps. Finally, a great CEO coach isn’t afraid to call out the client when they are neglectful, lazy, acting out, or generally not participating in the coaching process. A coach is not a drinking buddy or a shoulder to cry on, but a willing and capable partner in measurable performance improvement. The CEO coach is becoming an increasingly important resource for companies that want to excel in an ultra-competitive business environment. Much is expected from today’s CEO, and while many of them are highly competent and experienced individuals, that doesn’t completely eliminate the learning curve of how to orchestrate operations of an entire business. The coach’s role is not to train a CEO in how to be a CEO, because they should already know what’s expected of them. What the CEO coach can do, however, is help the CEO become more effective, waste less time, communicate better, and set the stage for a lasting, positive legacy. Studies have shown that investing in CEO coaching pays off on the bottom line, too. My work as a CEO coach has been some of the most rewarding of my career. Seeing another human fulfill their potential is tremendously inspiring and satisfying, and it makes the hard work and planning well worthwhile. I encourage you to check out my blog, all of which cover important aspects of corporate culture, talent, and leadership so you can make the most of the opportunities you encounter in your career. International Coach Federation (ICF) – an organization designed to advance the coaching profession through certification and accreditation programs that represent the highest qualities in coaching. 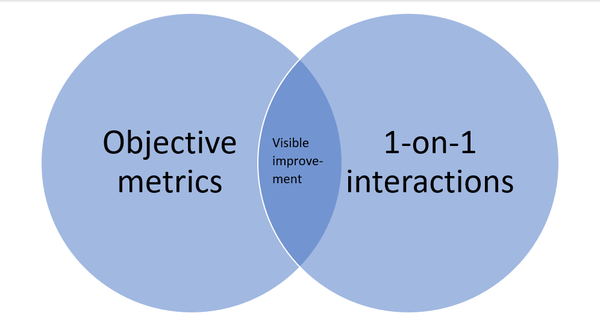 Progress metrics – specific indications of progress being made. For example, if a CEO wants to increase revenues by a certain percentage, then revenues represent a progress metric. There are many types of progress metrics, including those that are custom-tailored to a CEO coaching client.